Learn to swim, improve your strokes, or join your young child in the pool for age-appropriate lessons. Although Milestone is primarily an adult facility, children are welcome in our parent-and-child classes, as well as on our popular Friday family swim nights on the first and third Friday of each month. 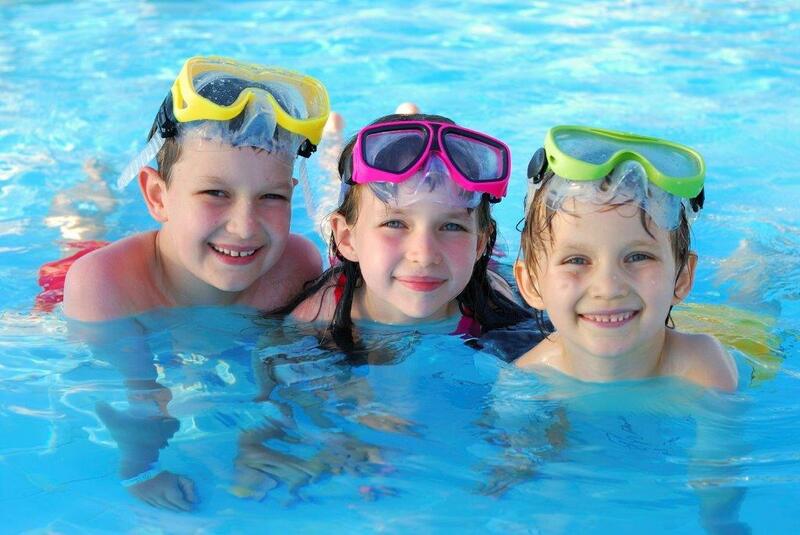 Click here for upcoming family swim nights. Join your infant in the pool for a water-adjustment class. Parent or guardian must be in the water with the child. Jellyfish class. 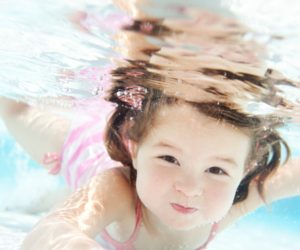 Join your toddler in the pool as he or she works on Level I skills. Our swim lessons follow the guidelines of the American Red Cross Learn-to-Swim Program. This class is for children who are not ready to take a class without a parent in the water. Goldfish class. Join your toddler in the pool as he or she reviews Jellyfish skills and continue refining their Level 1 skills. This class is for children who still need to work with a parent in the water. Each child must be pre-registered and paid in full prior to each session. All classes follow the guidelines of the American Red Cross Learn to Swim Program. Make a splash this summer! The objective of this program is to teach swimmers how to swim and be safe in, on and around the water. The program is made up of various skill levels. The Wellness Center staff follows the guidelines of the American Red Cross Learn-to-Swim Program. Can swim 15 yards front & back. Each child must be pre-registered prior to each session. Hurry! Enrollment is limited so sign-up today at our Service Desk. Call today to learn more about our upcoming children’s swimming lessons, call Mary Duke Connell, Aquatic Director, 896-3900 x132.